The Personal Data Protection Policy contains the privacy practices of the Vardar Fan Shop website and explains how Vardar Fan Shop uses your data regarding our website, electronic services and sent emails from us. The Personal Data Protection Policy regulates the right to privacy and security of personal data which are the purpose of processing. Please read the Personal Data Protection Policy and periodically check it for the latest information from our privacy practices. Occasionally we will amend the Personal Data Protection Policy to include our new practices, such as when we add a new service, functionality or site option. The collection of personal data on this web site is in accordance with the regulations for the protection of personal data. PERSONAL DATA. Personal data are data that identify a particular end user. When you engage in some activities on a website, such as creating a profile, ordering a product or service from us reporting a match or playing a game sponsored by us, completing a poll, posting an opinion, sending feedback, requesting data our services, we may ask you to provide some information for you. If you choose to engage in an activity that requires identification, we may ask you to provide certain personal information, such as: name and surname, postal address (including zip code), email address and date of birth. When ordering a product or service, the data you enter for payment are data that we do not keep, and are processed through https security connection through the payment processing system of Komercijalna Banka AD. Skopje. Depending on the activity, some of the data are required, and some are identified as voluntary. If you do not provide mandatory data for a particular activity that requires it, you will not be allowed to engage in that activity. Although data is used with good intentions and goals, you can always choose not to provide data or to limit what data you provide. You can edit your email preferences by logging in to your account via the Vardar FanShop website mobile application. Here you can subscribe or choose the categories of your interest that you want to receive promotional messages with notifications about new offers. You can also customize e-mail preferences by following the instructions in the email messages that we send you. You can change your preferences at any time. Please note that regardless of whether you will opt out of receiving promotional messages, we will send you administrative messages with purchased purchase information. If you do not want to receive Promotional Messages from us, you can always choose not to receive promotional messages by clicking on the "subscribe" button at the bottom of any of our emails, and then follow the instructions to complete the subscription. You can choose how your browser saves cookies by setting in the search engine itself. Search engines are different, so follow the browser's instructions depending on which one you are using. You can also set the same from your smartphone if you use the application with the setting depending on the mobile device. We can share your data for our protection and protection of others. We reserve the right to disclose your personal information if required by law and when we believe that disclosure is necessary to protect our rights and / or in accordance with a court procedure, court order, or legal process regarding our website. You give us your data when registering, subscribing, creating a profile, or in any way you interact with our site. We also collect data when contacting us online via e-mail for customer support and when commenting in online communities for commenting and sharing posts. In addition, we collect data in other ways in order to improve our experience and achieve our marketing goals. We take the security seriously and take a number of precautions in order to protect the security of personal data. An HTTPS security protocol is used when processing and transmitting information to our servers. You can access your personal information on our website by entering your password and username. This password is encrypted. We recommend that you do not share your password with anyone. Your personal information is stored on a secure server, to which we only have access. We encrypt certain sensitive data using Secure Socket Layer (SSL) technology to ensure that your personal information is provided as it is transmitted to us. Payment Information: The information you provide when paying or purchasing from your payment card is not stored or transmitted through our servers. Transactions are processed through the payment processing system of the bank with which we cooperate which is surfaced by VISA and MasterCard for transaction processing. At the time you make the payment and enter the data, they are processed through the HTTPS security protocol of the bank using Secure Socket Layer (SSL) technology and for us, the data from your payment card is not visible, the only information for your transaction visible we are your name and surname from the payment card, the last 4 numbers of the card and the amount on which the transaction was executed, while all others are encrypted. You can access, change or delete your data that you have left us through your account by simply logging in to your account. We encourage you to immediately update your personal information if they change. If you want to remove the profile, you can send a request to www.vardarfanshop.com, but this does not mean that all previously saved data will be deleted, because we keep track of past activities, we can not delete the data related to past purchases on the web -the side due to analysis of sales and monthly and annual reports. In addition, it may be impossible for us to completely erase all your data, because we periodically make a backup of the database. 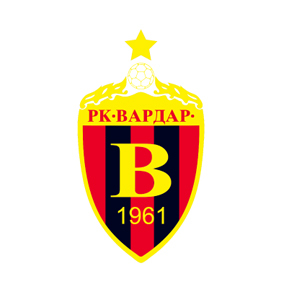 Vardar Fan Shop does not allow the use of the site of minors (children under the age of 18) and such use is prohibited. The site is designed to serve adults. By using Vardar Fan Shop declare that you are an adult at the age of 18 and that you understand that you must be an adult to be able to create a profile and make purchases of services and products. We will immediately remove the profile and data related to it if we come to the knowledge that it is a registered user who is not 18 years old. Data from smart devices refers to data from a device that you use to access or use a web site, such as a type of operating system or mobile device type, a browser type, a domain, a language that uses your system, a country, and time zone of your device, geo location, and software on your device. Non-personal data refers to data that alone can not identify you. These include Cookies, Pixel Tags, and Smart Data.